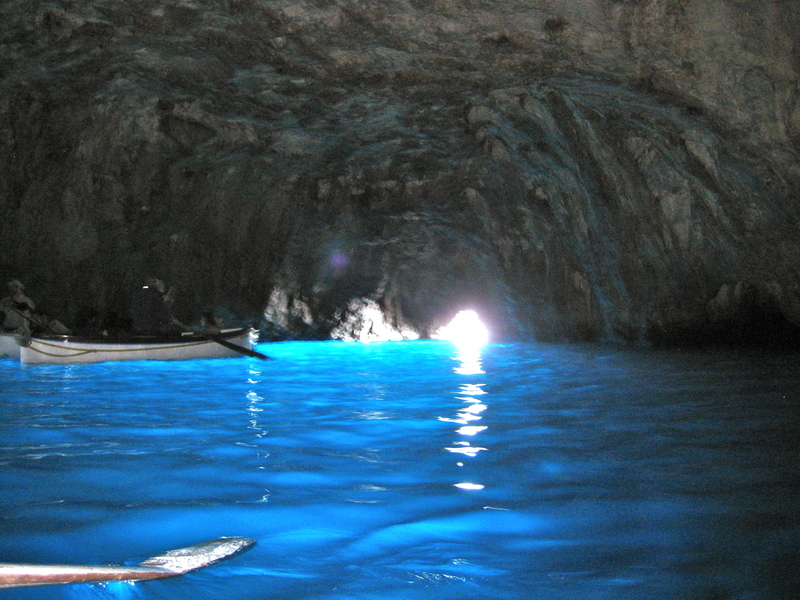 Since I loved the caves in Belize so much, I’ve decided that the next time I’m in Italy, I’m going to head down to Capri and check out the Blue Grotto. 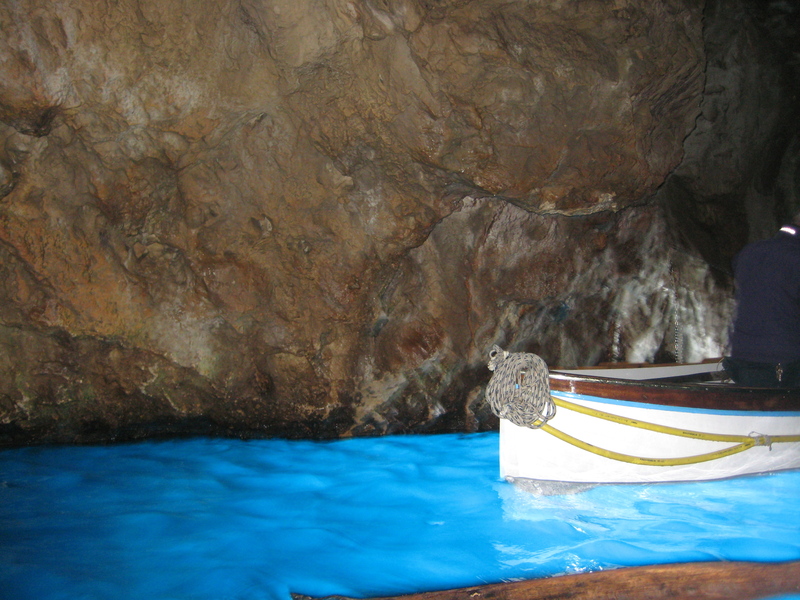 Incase you don’t know, the Blue Grotto is a cave where the water shines bright blue. The vibrant color is created by two holes that admit light into the cave. To get to the cave you hop in a small boat rowed by a local with only about one or two other people. Because the entrance to the grotto is so small, you have to lay flat on your back in the boat to make it under. Once inside there is enough room to sit back up. 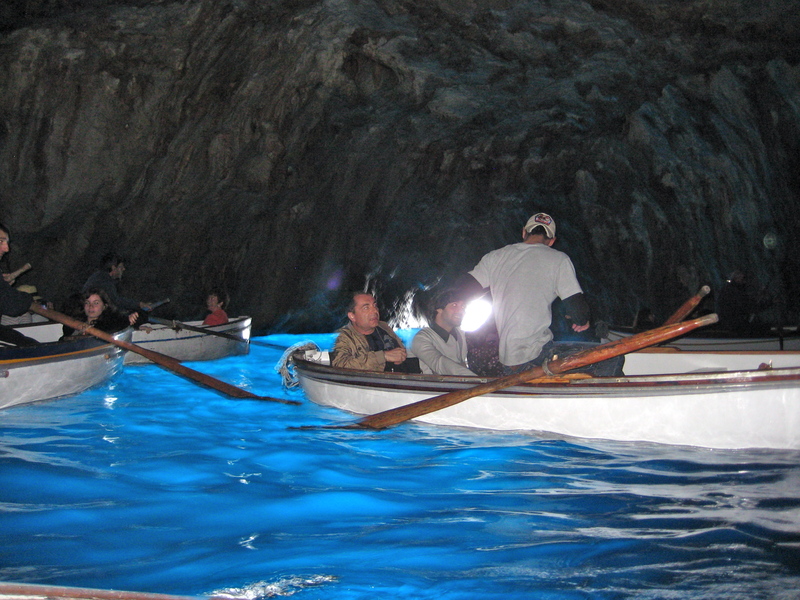 While the entire cave remains completely dark, the water appears to shine bright blue. There are only a few caves that have this natural affect in the world, so the sight it something to see and the photographs look amazing.